Electricity Department is part of the Administration of Union Territory of Daman &amp; Diu and headed by Secretary (Power). Day to day work of the Department is looked by the Executive Engineer (Elect.). 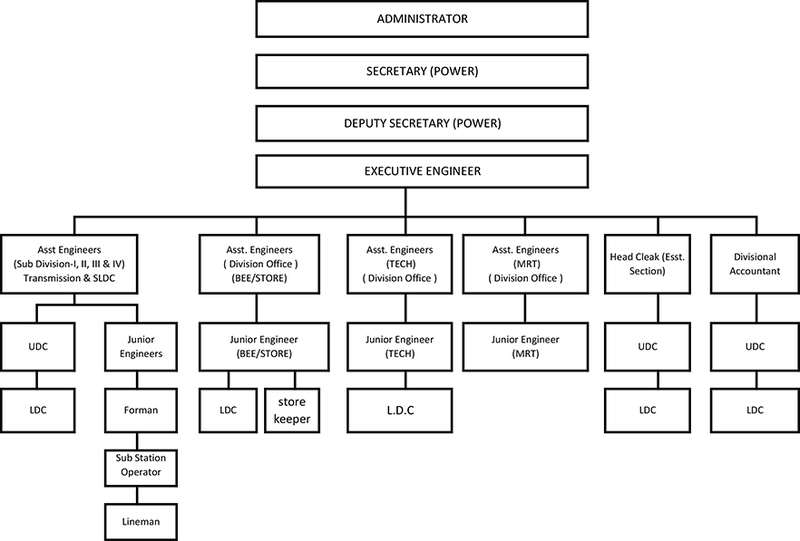 Under Division there are four Sub Division headed by the Assistant Engineer. Executive Engineer at Division Office is also helped by Technical Section headed by the Assistant Engineer, Establishment Section headed by Head Clerk and Account Section headed by the Accountant.